With a pair of regal blue and red towers and sunny-colored walls, this bouncy castle is sure to attract little princes and princesses for hours on end! 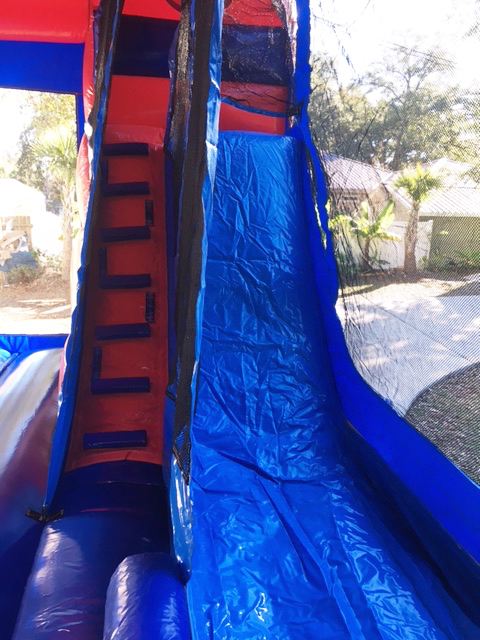 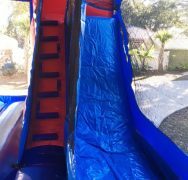 Each player can enjoy action on a 9′ dry slide, or conduct their royal duties from the large interior jump. 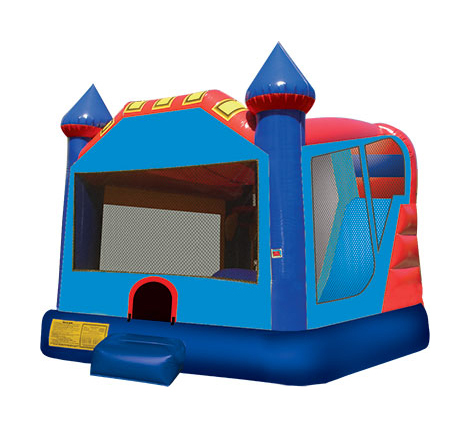 This bounce house combo offers up to four different activities for endless hours of activity. 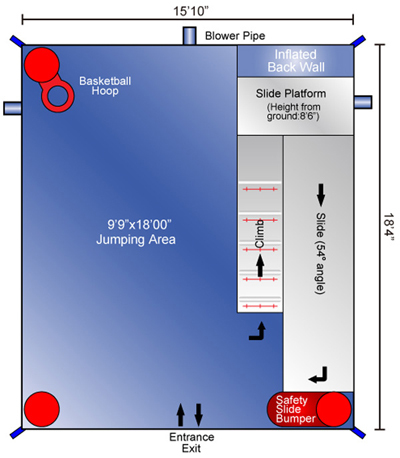 It has a large interior jumping area and a basketball hoop for group interaction. 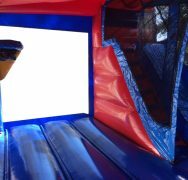 High-visibility mesh lets you enjoy watching the fun too! 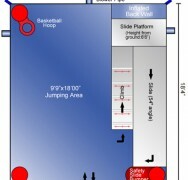 Accommodates 10 to 15 kids. 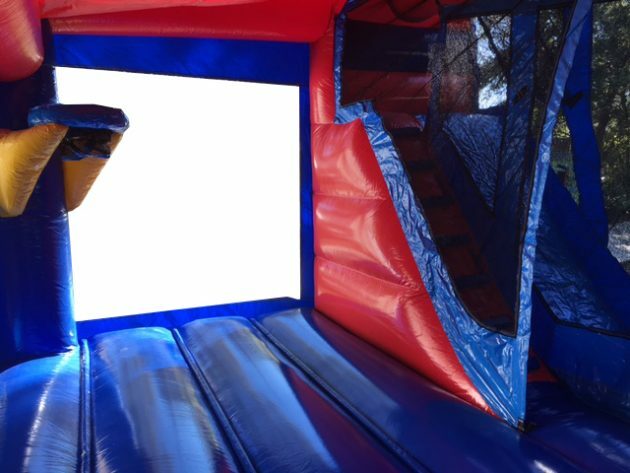 Dimensions: 18 ft x 15 ft. Best for ages 8 to adult.